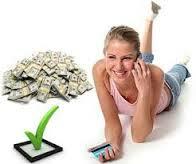 the borrowers to look for other options of arranging funds for their personal needs. Thus, payday loan launched by many reputed and reliable platforms have realized the dreams of such individual who can arrange huge funds without undergoing any strict procedure for the same. Toronto is the land of economy and population; and having a good living standard here is the fantasy of many with little finances available with them. As the market states, interest rates have grown up to an exorbitant level in the last few months, which makes the banks and other loan lenders to stringent the loan eligibility criterion. Here arises the need to contact a trustworthy and reputed financial institute who can help you to increase your loan eligibility along with guidance towards the best loan options available as per your savings and earnings. However, payday loans in Toronto consists of many confound features that must be well understood before undergoing any paper work and borrowing. Following is the small set of questions along with small description that you must answer before applying for some sort of cash borrowing . 1) What is the total amount that you want to credit along with the rate of interest of the loan program? Here the total amount or the Total cost of credit is the amount that the applicant has to repay including the rate of interest. Talking about the rate of interest, it is directly proportional to the amount credited under payday loan. 2) What are the applicant’s rights? 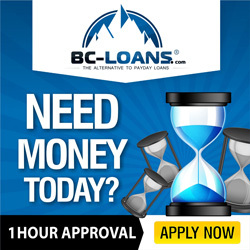 Undoubtedly, different lenders have their set of rules when it comes to offering money on payday loan, however if you have approached a reputed and reliable lender, be sure that you will be tendered with best of services and rights as per government norms. It is important to go through the lender’s website along with other source of information that are universal and can offer you details about lending conditions in Toronto. It is important that you select a legitimate and reputed source for your cash borrowing needs. Check for their reviews on the internet and try to achieve as much information as possible. According to government norms, all the legal lenders must have the license and authority to operate, thus it becomes imperative to ask the detailed information before making any contract with them. Keeping the confidentiality is one of the traits of lending; however for keeping yourself safe from fake lenders, if possible try to make contact with existing consumers to check for the fairness of lending policy of the lender. Keep this in mind that you have to repay not only the amount you are borrowing, but the amount that you have to repay include -: main loan amount, interest amount and additional file and processing charges as per the lender’s terms and conditions. Thus, at the time of accepting and signing the contract make sure that you will be able to repay this whole amount on the date confirmed by you in your contract. If you have even the slightest of doubt in mind, you have two options – either lower the loan amount or get your repayment date extended by few days. The simple reason behind this is, if in any case you fail to repay your amount on due date, you might have to make a huge penalty or you might be blocked for any future lending by the top notch financial institutes. Thus, it is important that you play smart at the time of lending money and make sure that you fully comply with the terms and conditions.